The answer is “Yes.” Work in the Czech Republic is very diverse and everyone will find their place: a student or a highly professional employee. Beginning from the first year of study, students in Czech universities have the right to officially work 20 hours a week. Of course, it’s not about full time, but about temporary earnings. It should be noted that students simply can not work full time, because their main goal is learning. And so you do not have to rely on the fact that you will earn a lot from one time and learn at the same time. But to find an part-time job for the student is quite real! And the money earned by the student during the training is quite enough to cover their own expenses. The better you know the Czech language, the greater the likelihood of getting more money, even temporary. In order to learn Czech on a high level you can take one of our courses. Work in the Czech Republic, especially in Prague, is important for many international companies. Every year there are exhibitions devoted to employment in Czech universities, where you can find work related to the future profession. A two-way contract is concluded between the student and the employer firm, according to which the student has the right to work a certain number of hours before the end of his studies. This practically guarantees the position of a given company after graduation. The main task for the student is to demonstrate well – and this is the best way for a quick career growth for graduates of the Czech universities. Also, in the summertime, you can get a guide to a children’s camp, but there you will need to know both English and Czech. 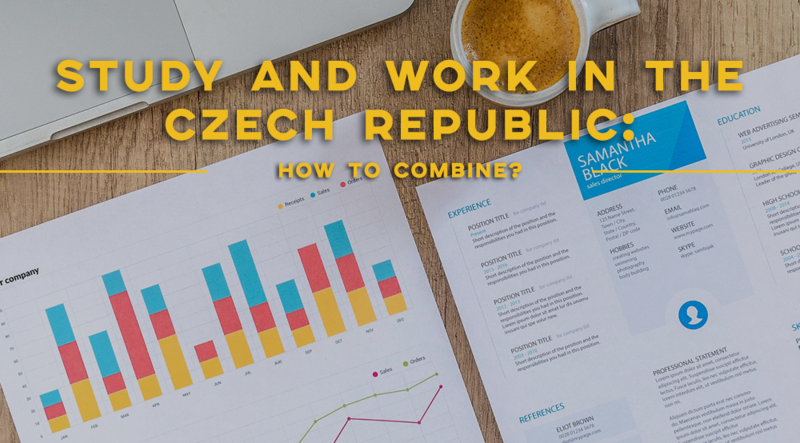 Since the Czech Republic is a very popular country for summer holidays, work in the Czech Republic will find everyone in the summer. If you speak a language at an insufficient level, you can find a job that requires English-speaking people. This is quite possible. One of these workshops is to sell tours to the excursion bureau in the Czech Republic. Many companies of this type are looking for our students to engage English-speaking tourists. We advise students to ask about the possibility of work at the Dean’s Office, the library, and the Department of the University during the first days of the training. If you find a job there, consider that you have won a jackpot. This is one of the most enjoyable works that a student can claim. There are also job placement services for those students looking for a job, and you can find the coordinates of these services on the high school announcement bulletin board. This is the fastest and most reliable way to find temporary luck. Often, this is a job that does not require special skills and knowledge, but requires physical labor. You can bring distribution of postcards or packaging of some goods. In the tourist season, there are quite a few proposals for more pleasant posts: meeting tourists, work at the reception, work assistant seller, etc. In order to get a job, you probably will not need any documents other than a passport with a visa. An essential nuance that distinguishes the Czech Republic from other countries – after graduation, a student has the opportunity to immediately get a job and automatically continue the visa.